Industry now lives by the mantra of seeking efficient energy use. Businesses with processes demanding high energy consumption should be looking to improve energy efficiency and minimise waste. Increasingly, industrial plants are looking at waste heat recovery methods as a means to improve energy efficiency and sustainability of their business. 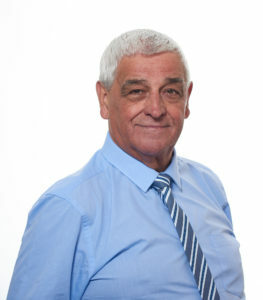 Lionel Macey, founder and Technical Director of ThermTech Ltd, the UK based industrial waste heat recovery and gas cooling and cleansing systems specialist, provides an insight to calculating and understanding waste heat and highlights the benefits companies can expect when implementing a waste heat transfer system. A substantial reduction of energy costs used to heat water in a steam boiler can be achieved by applying a custom designed gas-to-water heat exchange system. Purpose designed and installed around the gas flue outlet of an existing steam boiler, the spent gas is exchanged and used to heat water. The heated water is added to the incoming mains water feeding the boiler. The resulting increase of inlet water temperature reduces the boiler energy required to produce steam. Energy efficiency is a constant challenge for industry. Globally accepted and recognised by many as a requirement, best business practice dictates ways to improve operating efficiency should be sought out. In the short term the benefit of achieving this reduces fuel bills and hence operating costs; in the long term global carbon dioxide emissions are reduced. Most industrial processes require energy to run, however only a portion of the energy input is used for each process. The remainder of the unused energy is rejected to the environment, usually in the form of heat, either in gas or liquid form. It is possible to recapture most of this energy through waste heat recovery. This energy can become the energy source for three general applications; thermal heating, electricity generation and cooling. The heat is either re-applied to the same process it was originally generated for, or used for a different process in the plant. Knowing the total heat flow rate from the waste stream allows the potential value of this heat to be determined. Hence the capital project cost can be calculated and a decision made if the project makes economic sense. The following formula determines if sufficient volume is available for waste heat recovery. ‘Q’ from the calculation above is the theoretical maximum flow rate of waste heat that in a perfect system is available for recovery, however, not all of this waste heat will be recovered. Calculating the optimal value for ‘Q’ requires additional details of the current installation such as; precise temperatures of the inlet and outlet water or gas and location of process pipe work of the waste heat source, in relation to the possible installation location of the waste heat recovery equipment. Converting waste heat to an efficient type of energy storage media, such as water or thermal heat transfer fluid, at the earliest opportunity will reduce heat losses and enable the waste energy to be moved effectively from its source to where it will be applied. In the majority of applications waste heat will be in the form of gas, which is an inefficient energy storage media due to the rapid energy losses. Energy in gas form has a heat constant approximately ten times less than that of a liquid, with the effect that energy absorbed by air dissipates ten times quicker. Therefore, by converting gas heat to liquid heat, the liquid will retain heat for ten times longer. Business practice defines that the return on investment is the key decision criteria as to whether a project will go ahead. The recovery of heat is no exception and while on the surface you could view any re-use of spent energy as a bonus to the ‘green credentials’ of a company and its environmental impact, business rules do apply. A heat recovery project needs to either reduce energy costs at current productivity output, or look to increase productivity with current levels of energy spending. In order to establish the cost benefits a company will achieve, justification should be sought in terms of comparing energy costs of the existing process before heat recovery and the calculated costs after a heat recovery system has been installed. In all waste heat recovery projects, the heat recovered will displace a medium, such as steam, which would have to be generated using another piece of equipment, such as a boiler. This equipment likewise has a related efficiency, and the heat output is always less than the heat input. To determine the monetary value of the waste heat stream, use the equations below. The engineering behind heat recovery systems is quite complex and companies should approach experienced and trusted partners to develop a project. Defining the ROI and determining the feasibility of the project is important before going ahead. With the right design and the application of sound engineering, it is possible to implement a waste heat recovery system that will benefit the business for many years.